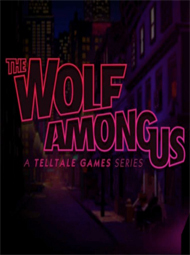 The final episode of The Wolf Among Us is out and it has taken me on quite the ride… and I’m not quite sure that the ride is over. It’s not really like the end of The Walking Dead: Season 1, in that it doesn’t wrap up things in a nice little package for you. Instead, the package it gives you is gnarled and beaten and shredded by tooth and claw, and its contents are barely recognizable, so much so that you need to piece it together one step at a time. 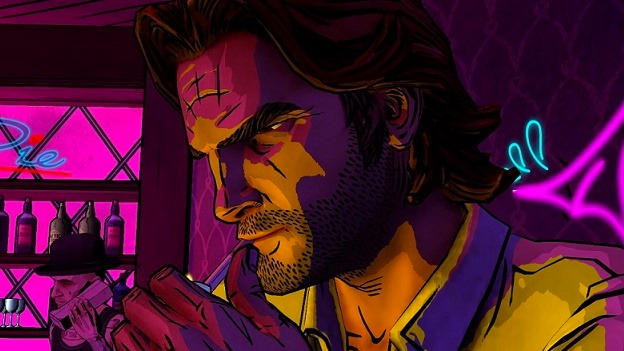 By this I mean the ending of The Wolf Among Us provides us more questions than answers, which just serves as fuel to make you go back and play the game again, and again, and again. In my review of the last episode, I said that Telltale wanted to make it clear that the murder mystery was not the important part of this story. Rather, it was the class struggle between lower class and upper class fables and Bigby’s role in it that was important. The same holds true for the beginning of episode 5. The murderer is revealed right at the beginning, without a lot of ceremony. Just like that, you know who was behind all this, no big chase and no big puzzle solving sequence. The game just hands it to you. This leaves you feeling unfulfilled, and that’s how it wants you to be feeling. You didn’t come all this way just to get a “thank you for playing.” You have shed blood, sweat, and tears for this game. 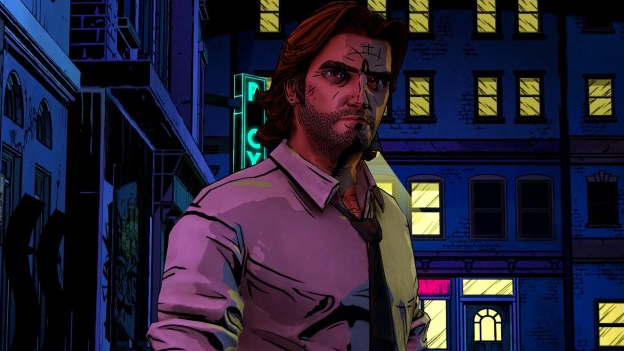 You are battered and bruised and weary from the trials and tribulations that Bigby Wolf has gone through, and a simple “oh here is your murderer” isn’t going to be enough… and that’s exactly how Bigby is feeling. For a moment character and player become one, as your desire to throw your keyboard and mouse through your monitor synch up with Bigby’s desire to rip out the throats of everyone around him. Then the game asks you to make a decision, as Telltale games are want to do. Do you just accept that? Do you end the game right there and say, “OK cool, murderer is brought to justice, catch you on the flip side,” or do you keep going. Do you push harder and bring the murderer’s boss to justice? Does he have to pay for creating an environment that allowed such murders to take place? If he has to pay, does your boss have to pay? Is Snow White as complicit in creating such a slum world of fables as all the criminals that you have been chasing? Are you, Bigby Wolf himself, to blame? The game kind of comes full circle in this episode. The series started with asking you to make tough decisions in episode 1, but then every episode after that played around with new themes and new mechanics. This episode returns to form, giving you choices, tough choices that you have to make on the spot both in dialogue and combat. One of the first sequences you are given puts Bigby at odds with nearly every criminal element in Fabletown, and the choices you make here reveal long held alliances and plans and may even get someone killed. It’s refreshing, as it feels like you are returning to familiar territory, to something you know. In fact, the only real new “game mechanic” that this episode utilizes is what appears to be a “wolfing out bar” that is used during a chase sequence. It lowers as time passes and Bigby takes hits, and it’s pretty cool, if not a bit out of place. Maybe this is just a preview of the more gameplay centric Telltale games we will see in titles such as Tales from the Borderlands. Telltale also managed to bring back the old “watch your decisions in action” ending sequence, like they did in The Walking Dead. The penultimate scene of the game is a trial, and nearly every fable that you have talked with over the course of the game is there. This alone, by the way, alters the scene quite a bit. I was kind of surprised to see that Telltale thought forward enough to allow fables that you have saved from death over the course of the game to come back here and even have important dialogue. Similarly, if you let fables die over the course of the game, they will be absent and there will be key pieces of information that you will be missing.